Bupleurum Health Benefits, Dosage, Side effects and Warnings. Scientific Name(s): Bupleurum falcatum L., (synonym Bupleurum chinense DC. and Bupleurum scorzonerifolium Wild.). Family: Apiaceae (carrots). Synonym: Umbelliferae. Bupleurum (Bupleurum Falcatum/Chinense) is an herb native to East Asia. The bupleurum is a perennial herb that grows to about 1 meter in height and usually found in the wild in patches along the sunny sides of sedge thickets. The Bupleurum is characterized by simple stem hugging leaves that grow alternately from the stem. Bupleurum leaves are broad, lanceolate in shape with gradually tapering base. Bupleurum bears small green to yellow flowers in axillary position and develop in umbrellate inflorencenses on the plant body. 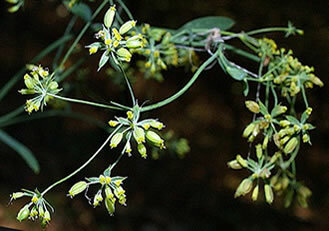 The flowers turn into Bupleurum fruit that is oblong or ellipsoid in shape slightly laterally compressed and has 5 ribs. The seeds are plane. Bupleurum has long been used in Chinese medicine which is among the ‘harmony herb”. The ‘harmony herbs” are a class of plants used to maintain internal energy in the body and to maintain the balance of all internal organs. Bupleurum has a long traditon of uses but it is largely popuplar as a liver tonic that promotes overall health and strength. The use of Bupleurum in medicine has not been scientifically established due to limited studies conducted. Bupleurum has liver protective activity. Bupleurum is an herbal treatment for Hepatitis and Cirrhosis of the Liver. Its health benefits include the reduction of inflammation and repairs the damaged cells of the Liver and prevents the development of cancer. Bupleurum has Anti-inflammatory effect. The anti-inflammatory activity of Bupleurum has its value in the treatment of diseases in the liver, kidneys, the spleen and upper respiratory organs. Strengthen the immune system. Bupleurum has a stimulating activity that helps the body to process steroids that is beneficial in strengthening the immune system. Promotes body recovery. Bupleurum is used to boost the body’s capability to recover after an illness. Bupleurum is used as tonic for the Nervous System. 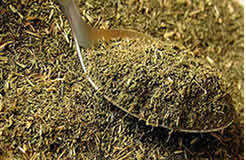 Bupleurum has a calming effect that helps the body to overcome stress. 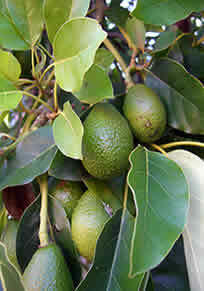 It is used to improve symptoms in depression and anxiety. Relieves body pain. Bupleurum helps in the management of pain associated to muscle pains and headache. Bupleurum is used for fever. It reduces the body temperature and thus is used in the treatment of malaria and other related diseases. It is beneficial in alleviating the feeling of sickness, vomiting, nausea and dizziness. 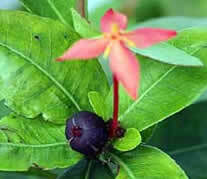 Bupleurum is used for stomach problems, Bupleurum helps in management of abdominal pain and bloating. Bupleurum is used to treat Indigestion, constipation, and diarrhea. Health benefits for the female reproductive organs.. Bupleurum is used to improve the flow of menstruation and to alleviate menstrual cramps. 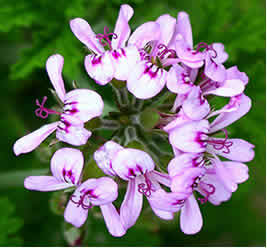 It is also used in the management of (PMS) Prementrual Syndrome and as a source of progesterone for expecting mothers. Bupleurum root extract is also used to treat gastrointestinal problems and hemorrhoids. Bupleurum also used to promote perspiration by aiding the body to rush blood to the surface, beneficial in clearing fever, flu and inflammation due to infection. Bupleurum is also used to treat brain disorders, and female reproductive problems. Bupleurum is also being considered and studied for its anti-cancer properties. Antioxidant, anticancer and apoptotic effects of the Bupleurum chinense root extract in HO-8910 ovarian cancer cells. The purpose of this study was to evaluate the anticancer, apoptotic and antioxidant properties of Bupleurum chinense root extract against human epithelial ovarian cancer cells (HO-8910) in vitro. MTT assay was used to evaluate the cell viability of HO-8910 cells after treatment with different B.C extract doses. The results showed that Bupleurum chinense root extract could induce potent and dose-dependent cytotoxic effects on the HO-8910 cells as demonstrated by MTT assay. The extract also induced cell shrinkage, chromatin condensation and membrane blebbing which are the hallmark of apoptosis.The number of cells with disrupted Δψm increased from 6.6% in untreated (control cells) to 14.2, 42.1 and 73.4% in 20, 80 and 120 μg/ml in extract-treated cells, respectively. The anticancer effects of Bupleurum chinense extract were mediated through the induction of apoptosis, DNA fragmentation and disruption of mitochondrial membrane potential. Source: J BUON. 2015 Sep-Oct;20(5):1341-9. Chaihu, prepared from the dried roots of Bupleurum Chinense DC (also known as bei Chaihu in Chinese) or Bupleurum scorzoneraefolium WILD (also known as nan Chaihu in Chinese), is a herbal medicine for harmonizing and soothing gan (liver) qi stagnation. Substantial pharmacological studies have been conducted on Chaihu and its active components (saikosaponins). One of the active components of Chaihu, saikosaponin-d, exhibited anticancer effects via autophagy induction. This article reviews the pharmacological findings for the roles of autophagy in the pharmacological actions of Chaihu and saikosaponins. Source: Chin Med. 2014; 9: 21. Effects of Bupleurum scorzoneraefolium, Bupleurum falcatum, and saponins on nephrotoxic serum nephritis in mice. Bupleuri radix is a commonly prescribed Oriental herbal medicine containing extracts of different Bupleuri species. The study investigated whether two of these species, Bupleurum scorzoneraefolium and Bupleurum falcatum, or their active ingredients, saikosaponins a, c, and d, could prevent the development of immune-complex nephritis in nephrotoxic serum treated mice. Immune-complex nephritis was created in C57BL/6 mice by administration of nephrotoxic serum containing anti-basement membrane antibodies. Mice were next given one of five treatments: Bupleurum scorzoneraefolium, Bupleurum falcatum, saikosaponin a, saikosaponin c, or saikosaponin d. Proteinuria, blood urea nitrogen, creatinine, and renal histological changes were then examined. Saikosaponin c almost completely prevented the development of nephritis, although immune-complex deposition was not affected. Bupleurum falcatum and saikosaponin d had a significant, although lesser effect, and Bupleurum falcatum and saikosaponin a showed no effect. The mechanism of action of saikosaponin c and the reasons for the difference between the two bupleuri species should be investigated further in order to find the best way to utilize the therapeutic effect of Bupleuri radix on nephritis. Source: J Ethnopharmacol. 2008 Mar 28;116(3):397-402. Effect of Bupleurum falcatum on the stress-induced impairment of spatial working memory in rats. Many studies have shown that Bupleurum falcatum (BF), which is widely used in the treatment of various psychosomatic diseases in traditional Oriental medicine, is an effective therapeutic intervention for memory impairment. The purpose of this study was to examine the effect of BF on stress-induced alterations in learning and memory in rats using the Morris water maze (MWM) and elevated plus maze (EPM) behavioral tests. In addition, we examined the effects of BF treatment on the cholinergic system, as indicated by changes in neuronal choline acetyltransferase (ChAT) and acetylcholinesterase (AChE) immunoreactivity in the hippocampus. BF (150, 300, or 600 mg/kg) was administered orally 30 min before exposure to repeated immobilization (IMO) stress (4 h/d for 14 d). The BF treatment produced a significant improvement in escape latency (time required to find the platform) in the MWM, and it also produced an anxiolytic-like effect in the EPM. Consistent with the behavioral data, BF treatment significantly attenuated the IMO stress-induced loss of cholinergic immunoreactivity in the hippocampus. These findings indicate that BF has a protective effect against repeated IMO stress-induced neuronal and cognitive impairments, and they suggest that BF may be useful in the treatment of stress-induced memory impairment. SourceL Biol Pharm Bull. 2009 Aug;32(8):1392-8. Pharmacology and toxicology of Bupleurum root-containing Kampo medicines in clinical use. Kampo (Japanese traditional herbal) medicines have been produced by combining multiple crude drugs, almost all of plant origin but with some of animal or mineral origin, and contain a great many substances. Their effect is a combination of the various interactions of the constituent substances, whether they are enhancing, synergistic or suppressive. Kampo medicine has an overall effect that is different from the combined effects of individual crude drugs, and several side effects such as anorexia, slight fever and nausea have been reported in the treatment of certain disorders and disease states with Kampo medicines. Among 210 medical formulations used in Japan, some relevant information on the clinical uses, pharmacology and toxicology of six manufactured Kampo medical formulations, Shosaikoto, Daisaikoto, Saikokeishito, Hochuekkito, Saibokuto and Saireito, containing Bupleurum root are reviewed. Studies of some potential interactions between Kampo medicine and western drugs are also considered. Source: Hum Exp Toxicol. 2006 Aug;25(8):481-94. Where can I get or buy Bupleurum? Bupleurum plant can be cultivated and planted in your garden. 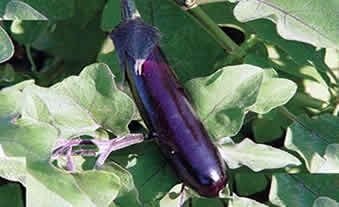 Seeds and young plants can be sourced from your local horticulturist. Bupleurum is commercially prepared as root extract and in capsule form. Bupleurum supplements are available in most fitness and health stores. Bupleurum is also available online via Amazon as listed: Bupleurum Liver Cleanse 150 tablets for example, there are other brands, be sure to select one from a reputable manufacturer and do follow the suggested dosage. 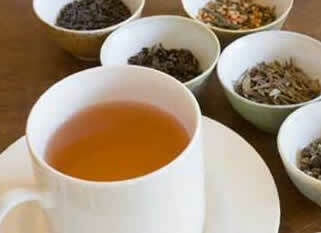 Bupleurum tea can be prepared using 2 to 4 grams of Bupleurum root in a cup of boiling water. Taken 2 to 3 times a day. Prepare about half teaspoon of dried Bupleurum root for every cup of water. No sufficient studies are done to investigate its safe use. 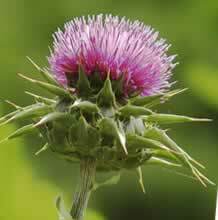 It is recommended that this herbal medicine be used with caution and for a limited period only. To be taken only upon the advise and supervision of a competent health practitioner. Reported side effects from the use of Bupleurum herbal medicine include numbness and sedative action, flatulence, bowel movement disorder. headache, nausea, dizziness and gum bleeding to sensitive persons. Related specie: Bupleurum longiradiatum is poisonous, not to be used. Children: Studies for Bupleurum safe use in children is insufficient Avoid its use. Pregnancy and breast-feeding: There are no sufficient studies done to determine the safe use of Bupleurum herbal medicine during pregnancy and breast feeding. It is not recommended. Bleeding disorders: Bupleurum contains a chemicals called saikosaponins. This chemical is known to slow blood clotting and might affect those with bleeding disorders.